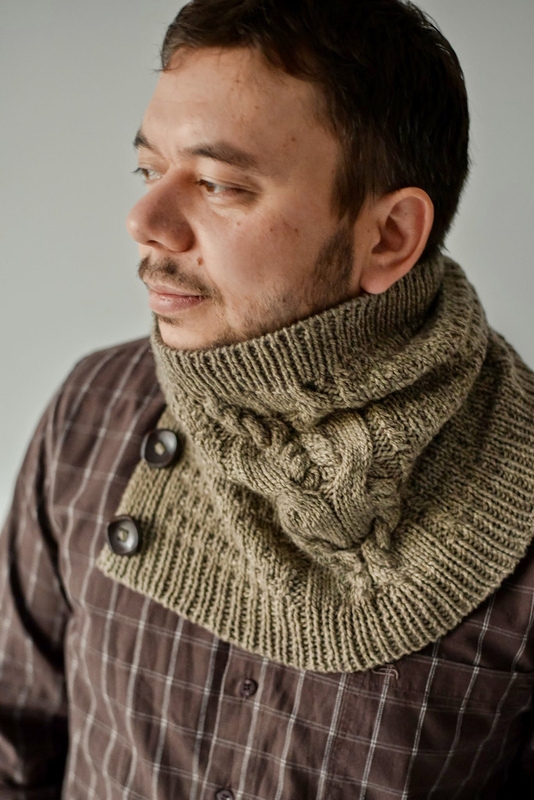 Since the holidays are rapidly approaching, today’s men’s knitting pattern roundup will focus on accessories – that is, quick gifts that can still be accomplished between now and possibly even Hannukah, though that comes quite early this year! 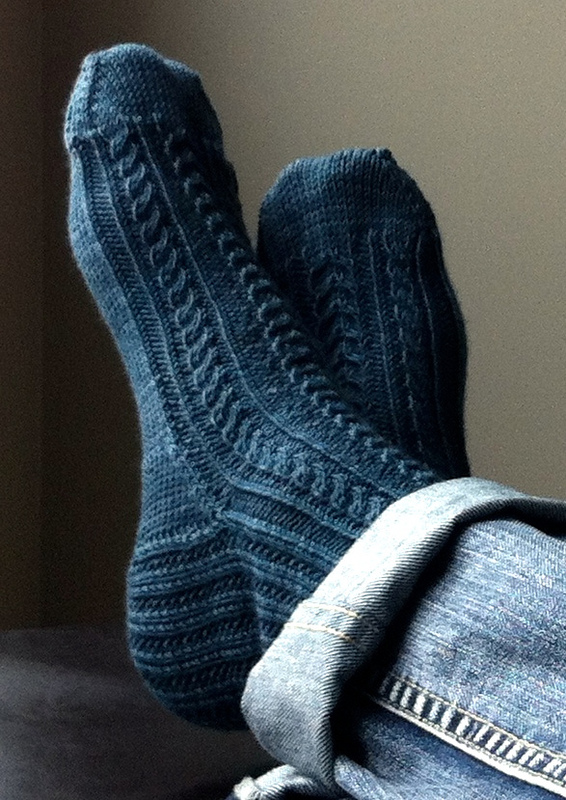 First up: some beautifully designed socks by Jennifer Beever, a relatively new designer based in Calgary. 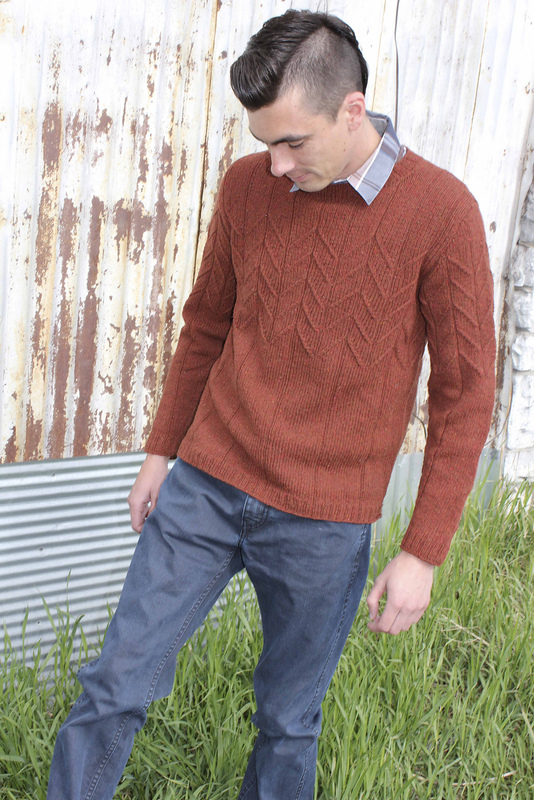 The pattern, called Josh, has some fine features, including a false rib pattern down the back of the leg that merges seamlessly into the heel flap. It’s a great, classic sock that even men with the most conservative clothing tastes could appreciate. 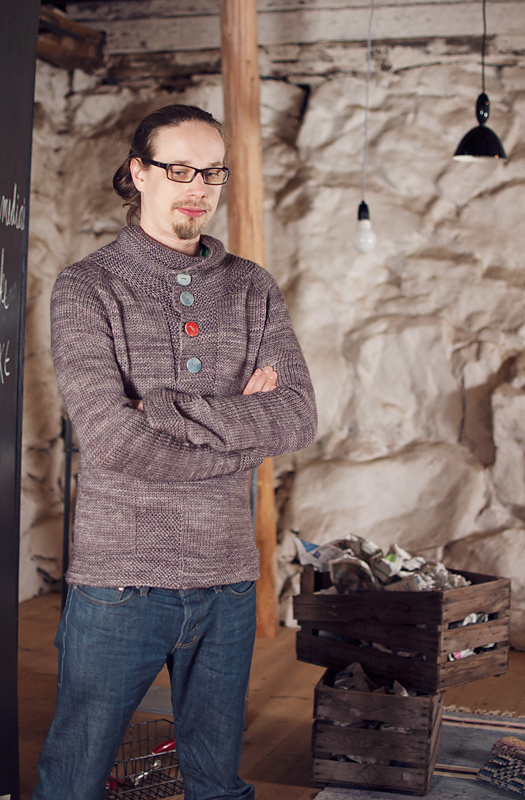 Josh can be yours for $5 Canadian on Ravelry (that’s just a little less than $5 US). 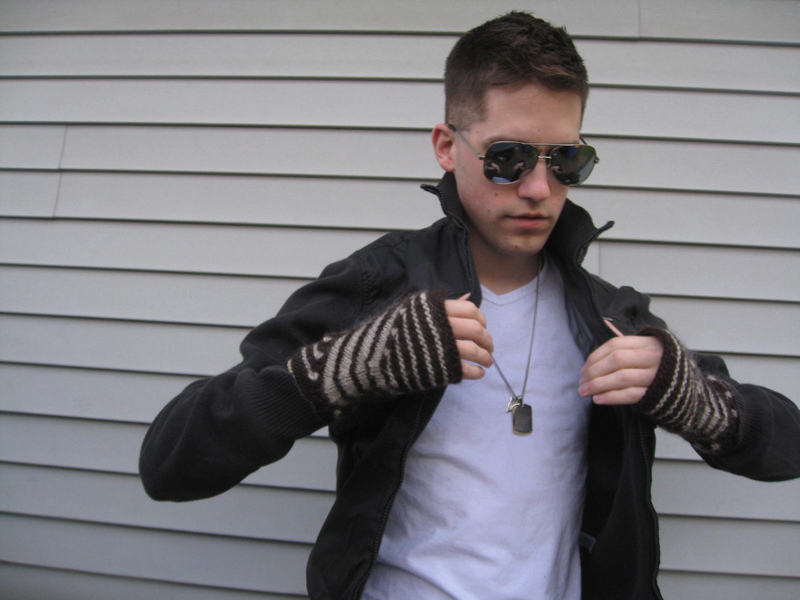 Jennifer also recently published a pair of garter-stitch mittens that would be perfect for men living in cold climates. 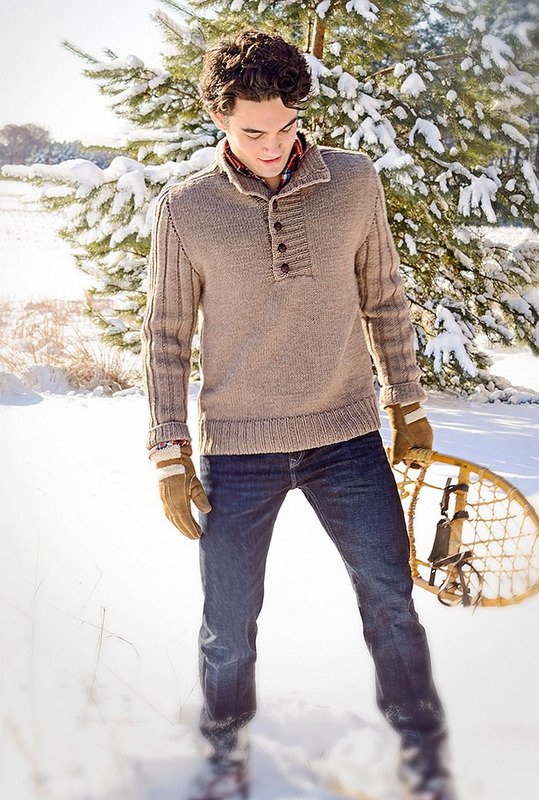 This next duo of patterns, the Tolt Hat and Mitts by Andrea Rangel (available together for $8 on Ravelry), would make a perfect gift set and would appeal particularly to younger men, I suspect. 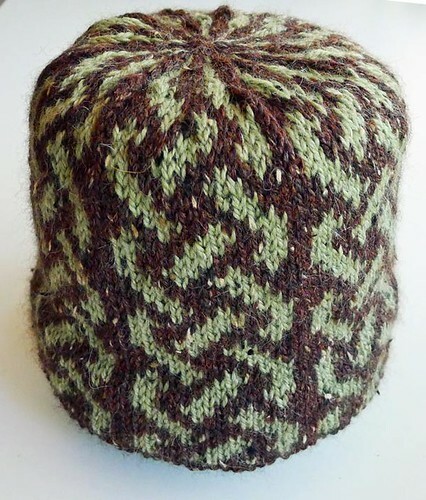 If you are new to stranded colorwork, this would make a great pattern to cut your teeth on, as the stitch pattern is fairly simple, quick, and satisfying at a worsted-weight gauge. When choosing colors for your own project, just make sure to select two colors that have some significant difference in light value. (That is, choose one color that’s relatively light and another that’s rather dark.) 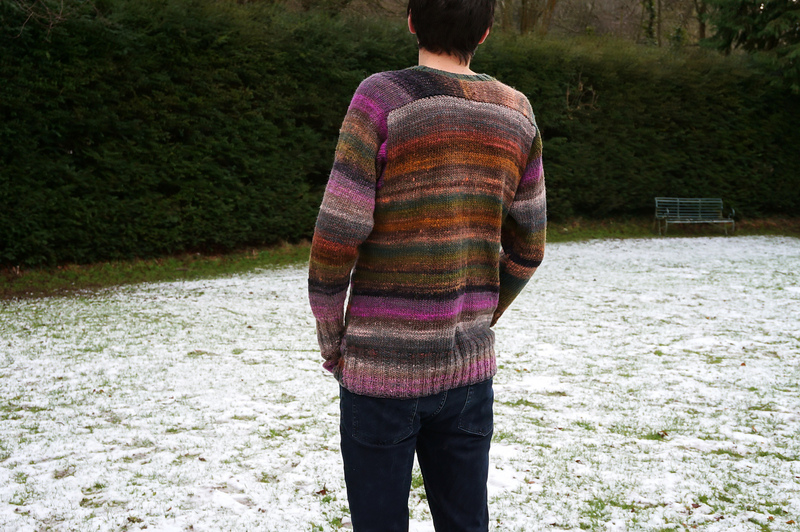 Otherwise, all your hard-won colorwork will be difficult to see. Another design that’s likely to appeal to younger men (and boys!) 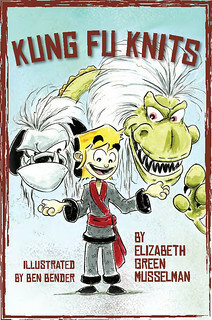 is Elizabeth Murphy’s Goblin Hat. 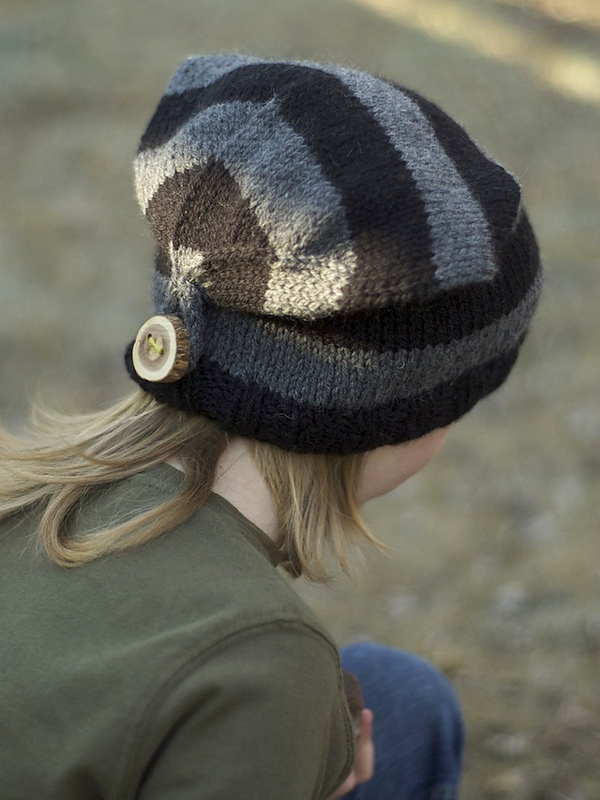 I love the clever construction on these: if you’ve ever been baffled by how to wear a slouchy hat, you will love how this buttoned-down version makes the wearing of a slouchy hat simple. 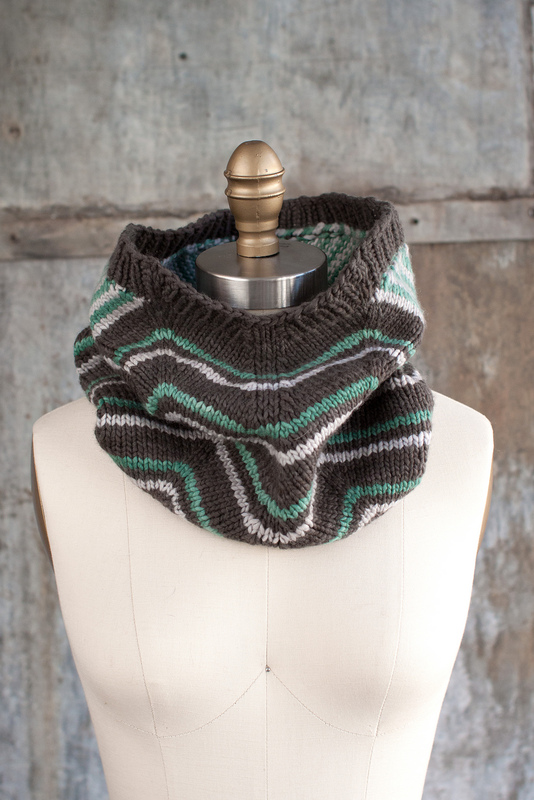 And what a great stash-buster for leftover bits of worsted-weight yarn. Plus, the pattern is free! 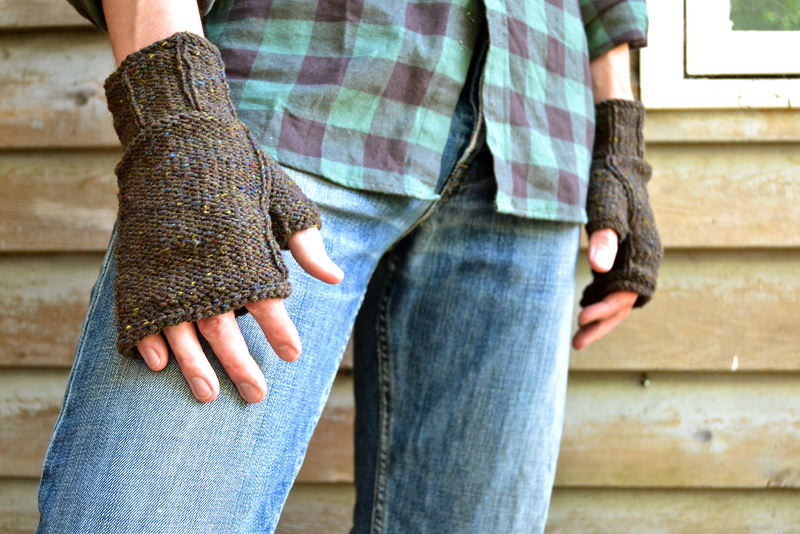 If you need a super-quick knit, try the Courage fingerless mitts (also free) by another new designer, Elizabeth Davis. This pattern includes instructions for three sizes and two lengths (short length shown here), so you can whip up several pairs for people on your list. 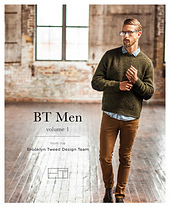 If you’ve stumbled across my blog, then it’s no doubt because you are searching for men’s knitting patterns — and you’ve probably also noticed that they can be hard to find. 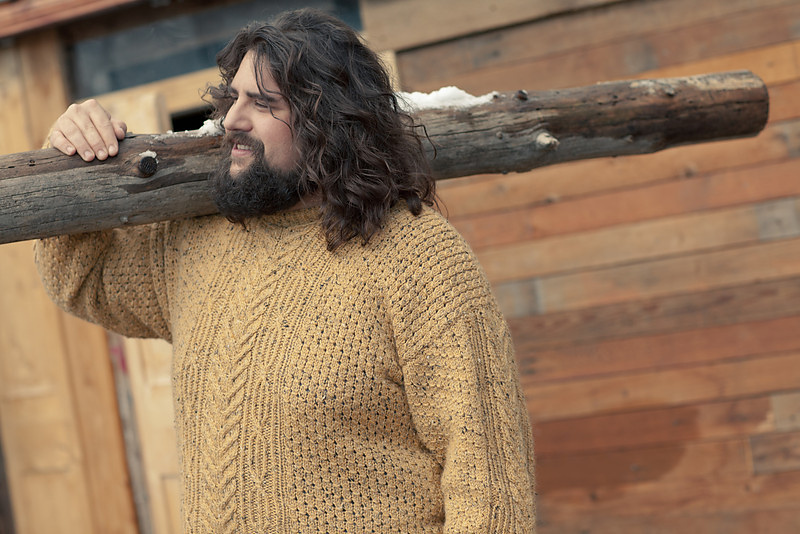 If you’ve been around my blog for a while, you know I sympathize … and that I frequently write knitting patterns for men myself. 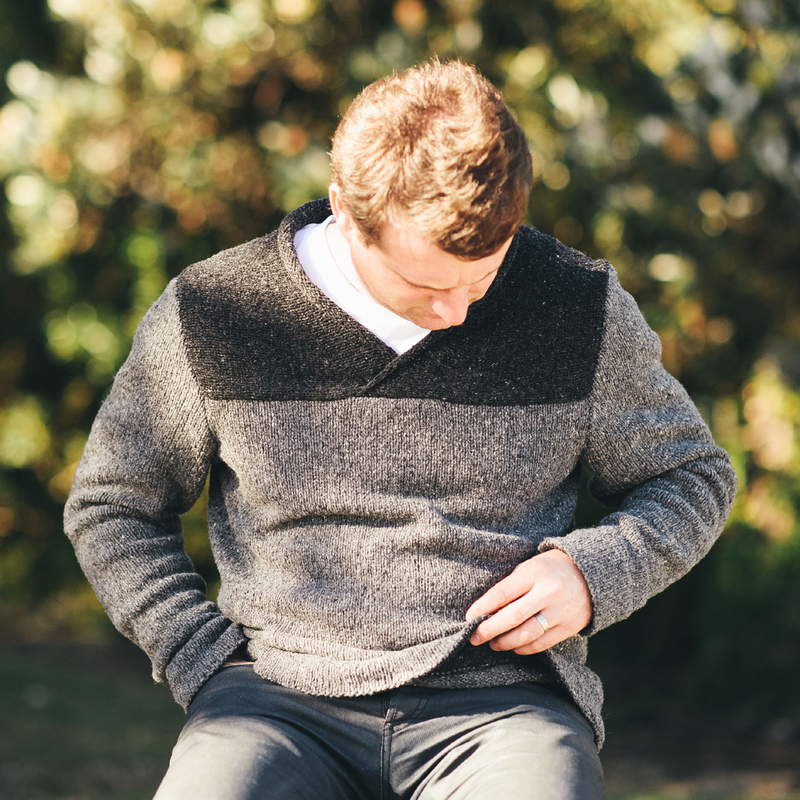 The patterns are out there, so I thought it might be time to do a little curating of my own — bringing you weekly roundups of some of my favorite patterns for men that I’ve found around the interwebs. 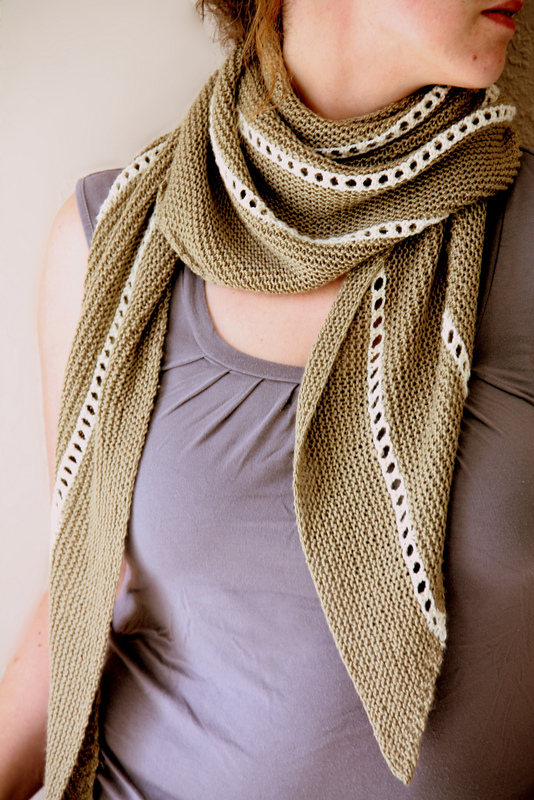 I’ll favor new patterns, but will probably include some older patterns each time as well. Your tastes may not be the same as mine, and my reach is not perfect, so please feel free to share your own favorites in the comments. The unusual shaping in these great-looking mitts is created modularly — easy to execute but much more fun than your average brown mitt. 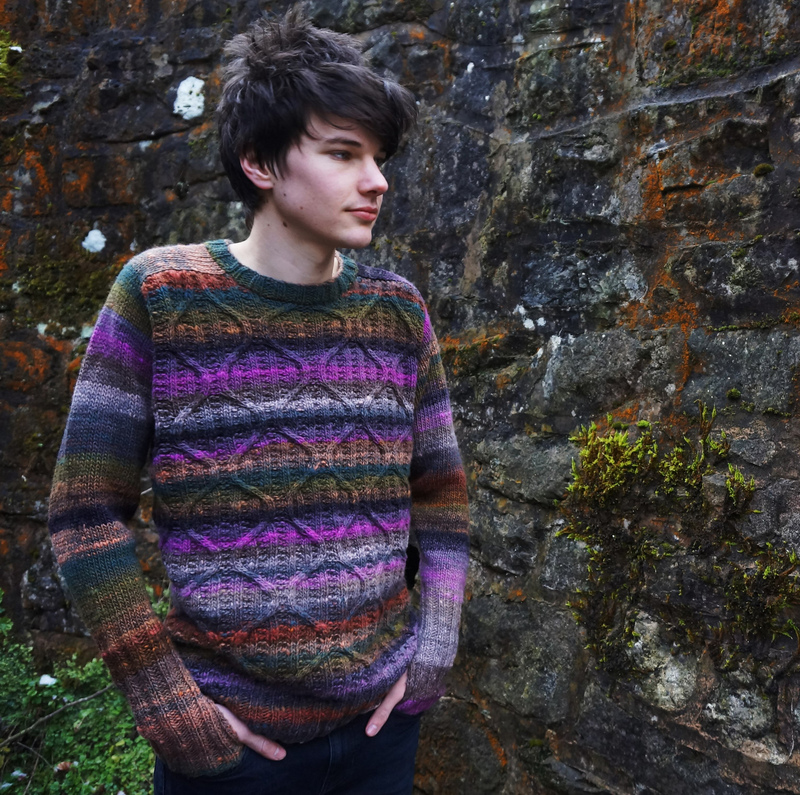 I always say that the biggest challenge with designing men’s knitwear is to create something wearable while still providing the knitter with something fun to make. Josh’s design hits that sweet spot perfectly. 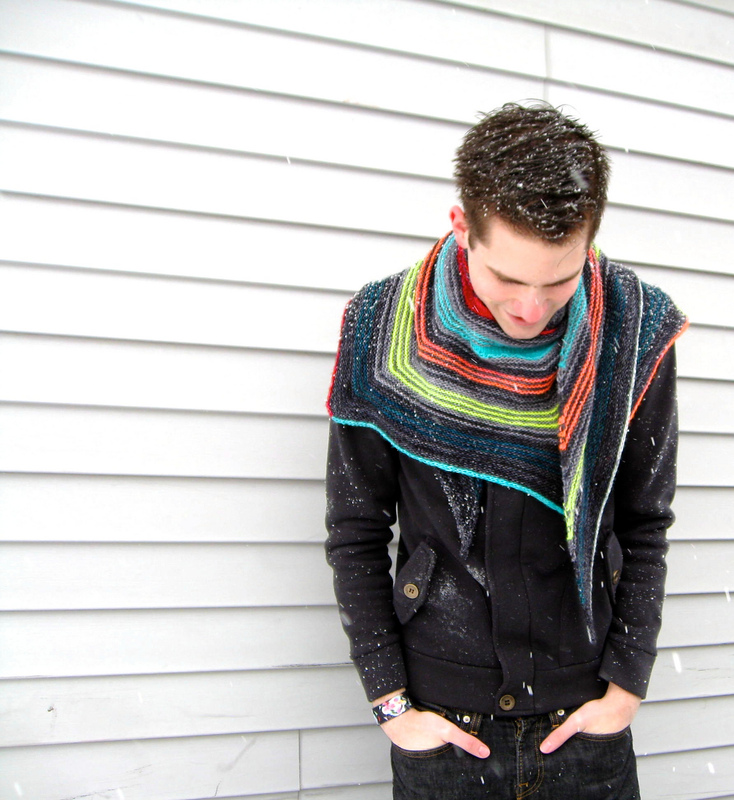 If you’re looking for more graphic accessories for men like this, check out Josh’s other designs as well. 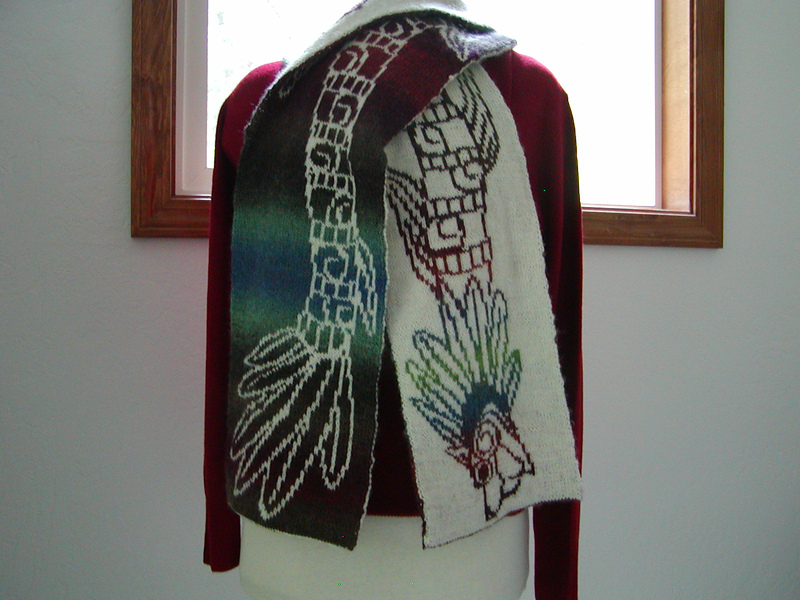 And finally for this week, I can’t resist including a shawl. 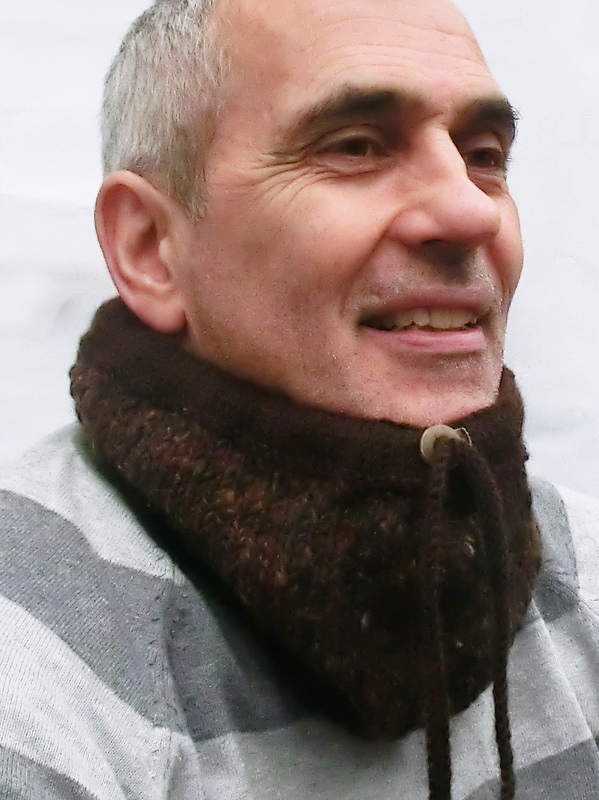 We largely have popular knitwear designer Stephen West to thank for making the geometric shawl a cool menswear piece. 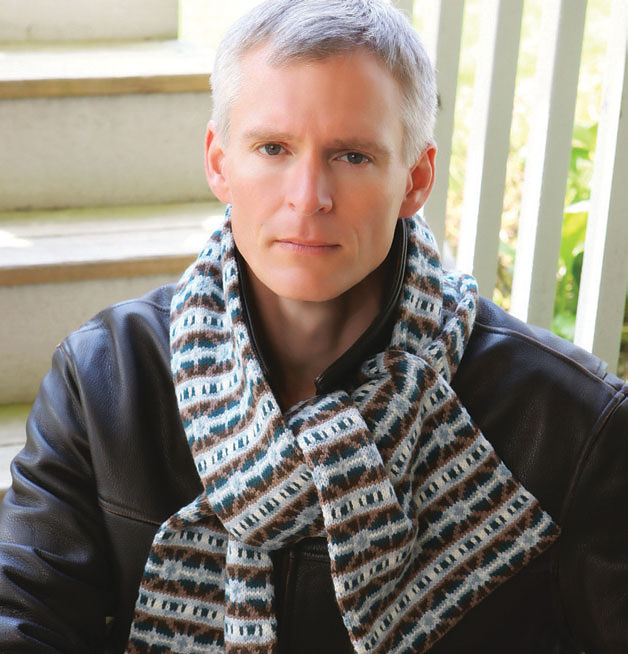 So while the Nangou shawl by Melanie Berg (€3.90 or about $5 on Ravelry) may be modeled by a woman in the photos, I can readily picture this on a man as well, especially worn scarf-like as it is in the photographs. 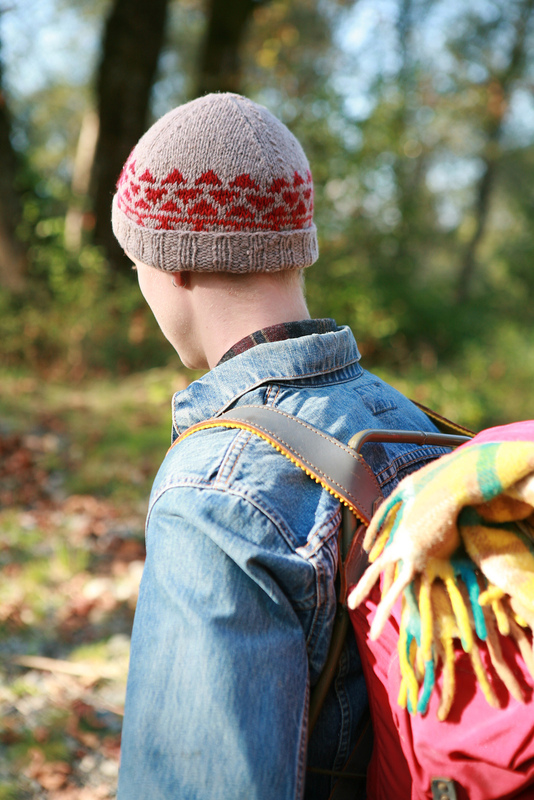 These simple, classic knits can be a real pleasure. See how the sage green sections look like cables crossing over each other? I think it would be lovely on socks, too. If you have Luise Roberts’ wonderful little colorwork stitch dictionary called 1000 Great Knitting Motifs, you will find this stitch pattern on p. 105. 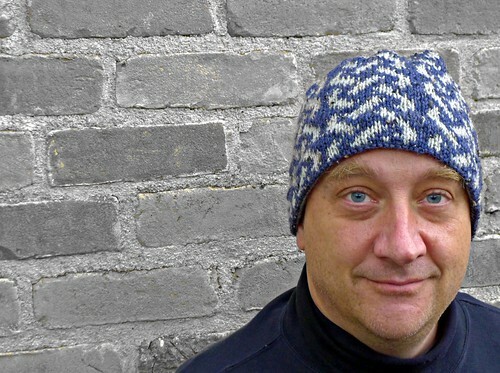 I just made this hat pattern available on Ravelry, and it will soon be up on the KnitPicks web site as well. 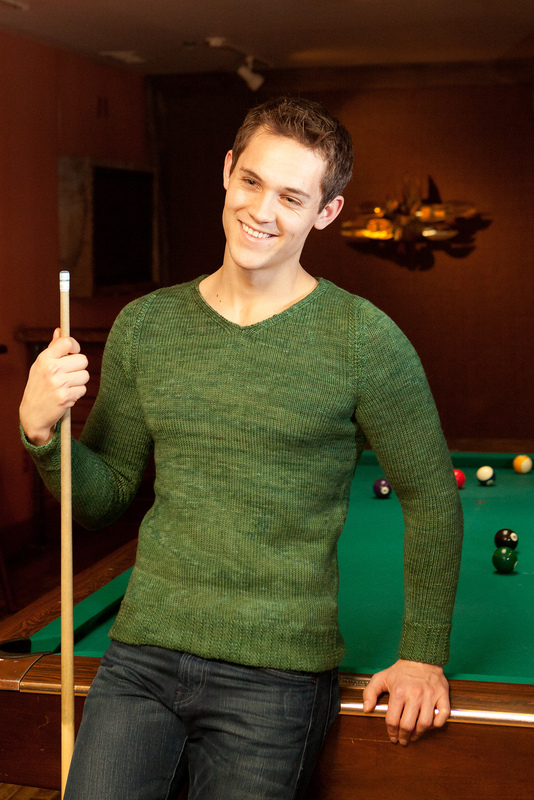 It’s a quick knit, so if you’re looking for something last-minute for the holidays, this might just be the ticket. On an unrelated note, I would just like to note that we here in the Land of the Large Eyebrows do not believe in trimming our eyebrow hair. No, we do not.